Group rides in our hay wagon pulled by a team of Draft Horses. 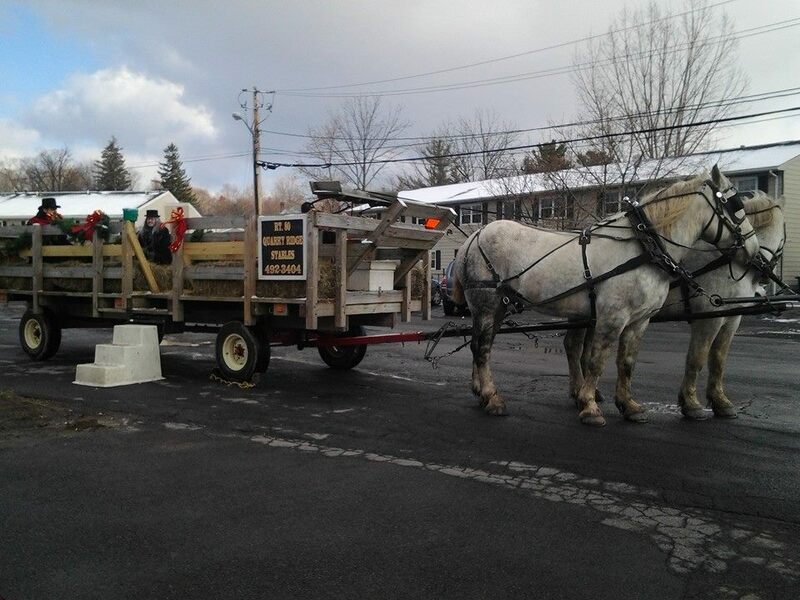 Year round rides available, as well as Christmas Hay Rides. Call for more information about our seasonal packages! Half hour tour for up to 6 people. Ride to and from our bonfire; approx. 1 hour total, up to 6 people. A one and a half hour ride in our buckboard at your desired location, up to 6 people. Half hour tour for up to 15 adults or 20 children. Ride to and from our bonfire; approx. 1 hour total, up to 20 people. A one and a half hour ride in our hay wagon at your desired location, up to 6 people.